Topped with chic sweetness, the Babe Season contrasts structured lines with feminine trims. 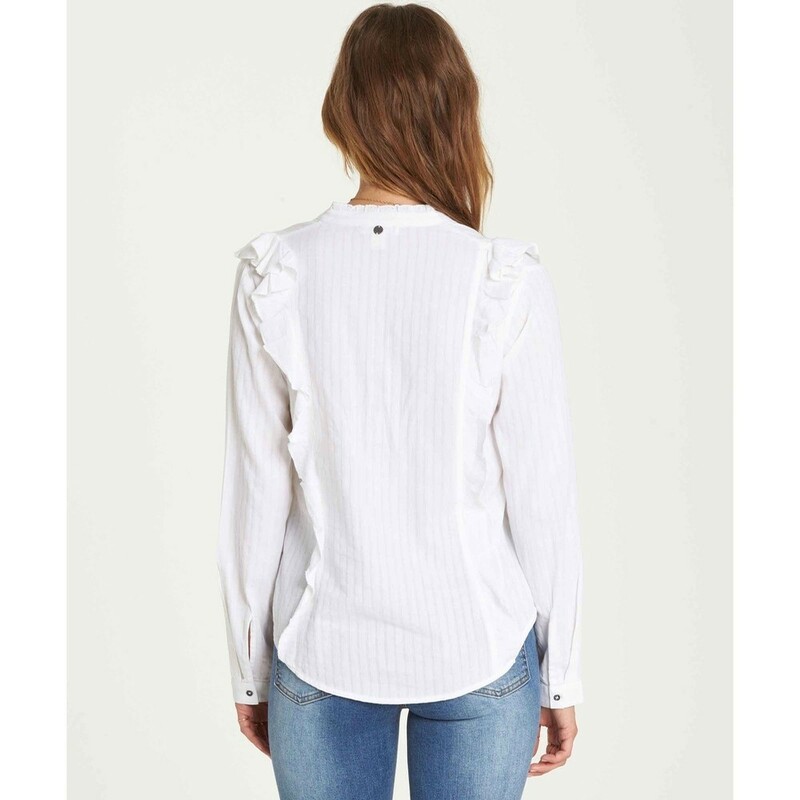 The button down blouse features ruffles along the princess seams and a hidden center front placket. Maja is wearing Cool Wip in size M.